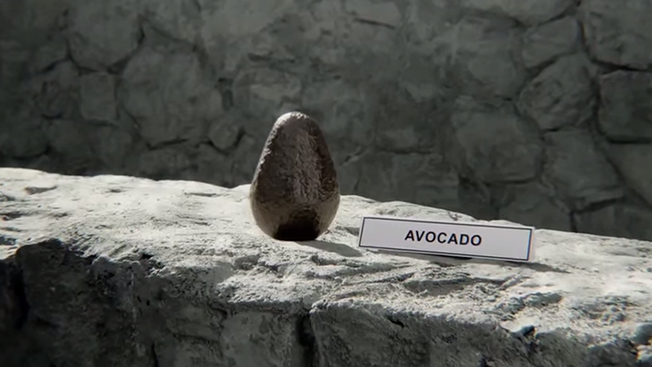 Avocados From Mexico will make its second Super Bowl appearance, returning to the world's most-watched TV event after enjoying surprise success during the big game in February with an ad from its "First Draft Ever" campaign. Once again, GSD&M will craft the creative, while Havas Media handles the buying chores. The ad will run during the first commercial break of the Feb. 7, 2016 telecast on CBS and is part of a new marketing push, "Always There," touting the year-round availability of Mexican-grown avocados. "We are excited to lead the trend in healthier brands advertising during the most-watched event of the year," said Alvaro Luque, president of Avocados From Mexico, "and we are committed to take a leadership role to outshine packaged-food brands to reinforce the 'good for you' message of our delicious fruit." AFM had a memorable Super Bowl debut. Its quirky first-quarter ad, which featured a God-like figure and commentary from ex-NFL stars, earned more than 1 billion media impressions and scored the second most social buzz of any Big Game spot (after "Like a Girl" from P&G's Always), according to Adobe Social. On USA Today's Super Bowl Ad Meter, the AFM ad placed 23rd out of 61 commercials. Views of the campaign's various videos across all platforms approached 1.5 million. Neither client nor agency would discuss what direction the creative might take this time around. GSD&M's chief creative said only that the second Super Bowl push for AFM is "a creative dream" because, when it comes to delivering a brand message to the masses, "there's no greater stage." Is the team worried about trying to repeat last year's unexpected win? "Our success does up the ante for performance," Luque said. "But one way to look at it is there is no extra pressure that could ever be put on an event of this magnitude. It is a huge stage, and you have to deliver." This year's telecast of Super Bowl 49 drew 114.4 million viewers, making the New England Patriots' dramatic win over the Seattle Seahawks the most-watched television broadcast in U.S. history. For the upcoming game, 30-second ad slots have been selling for $5 million. Those are imposing numbers, but Avocados From Mexico views the Big Game telecast as one key component in a broader campaign. "Our focus is on the experience versus just the game," Luque said. "The 30-second ad that you run during the game is critical, but these days, it's part of an overall program across channels that must engage the consumer and drive results for the brand." Avocado consumption has increased 35 percent in the past year, and Luque said AFM's Super Bowl appearance played a huge role. All told, the brand holds about 75 percent of the U.S. market. The group's chief rival, the California Avocado Commission, hired Mullen Lowe as its new agency this summer. But given CAC's modest annual ad budget (in the $5 million range), a Super Bowl showdown of avocado growers seems unlikely.